The weather seems to be breaking. 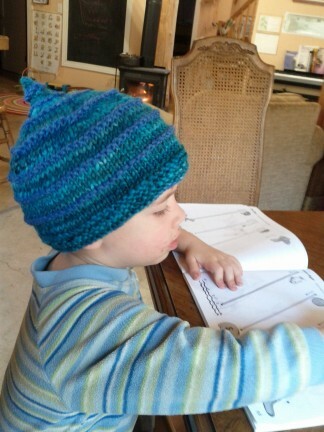 The spring peepers are singing, the birds are chirping, and I’m finally getting around to knitting Leif’s winter hat. Ahhh well. 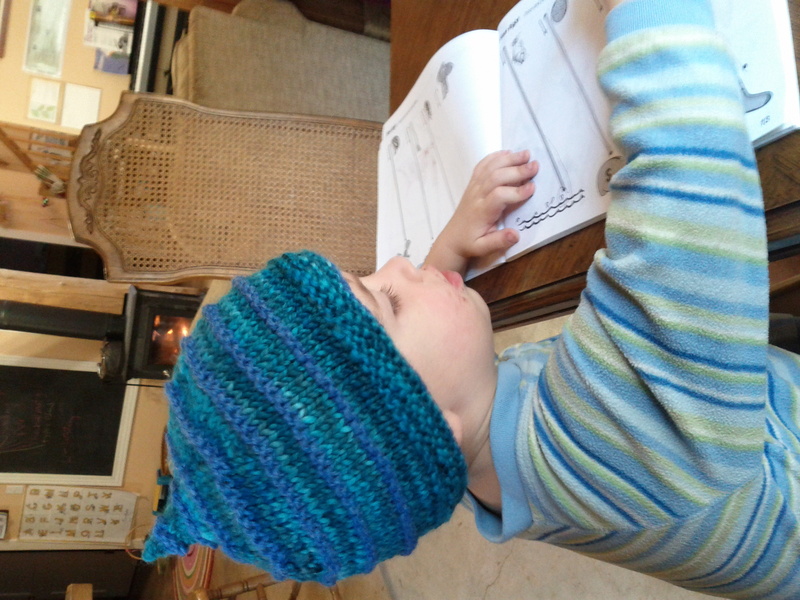 He asked for a blue hat with a point, and he wanted me to spin the yarn. What can I say, the kid knows what he wants! « Blue Food Coloring, Naturally!